Overview: Marvel at the mystery and magic of the enchanted forest floor in this great video slot. Reap the fruits of the forest and spin your way to a massive Jackpot! WIN UP TO 50,000 COINS! 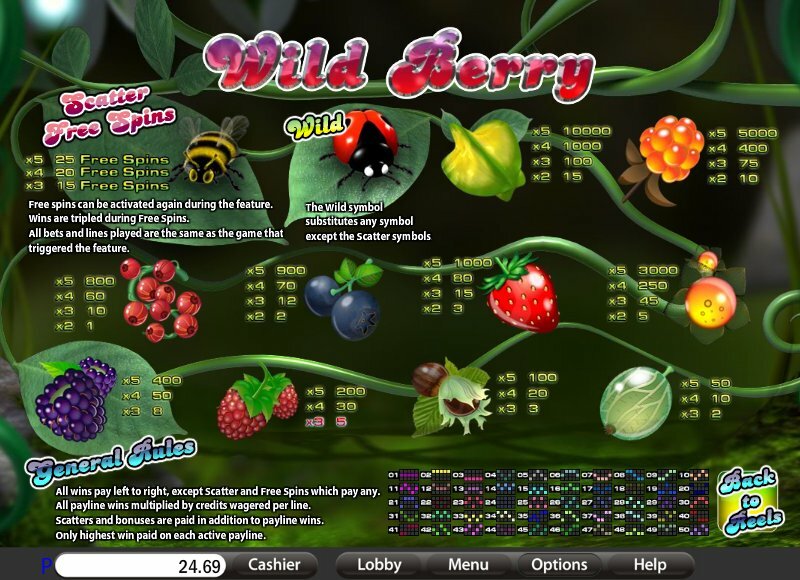 50 LINES, 5 COIN, UP TO 25 FREE SPINS, WILD SCATTER. 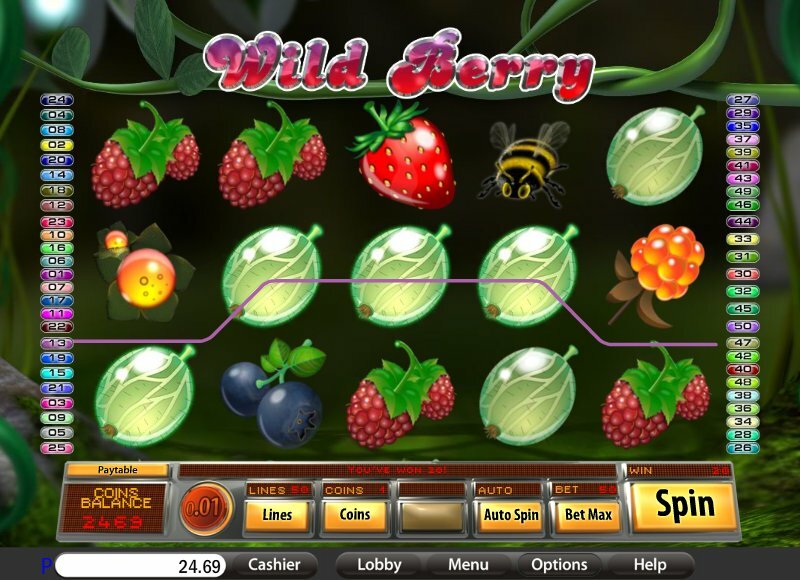 Similar Slots: If you like Wild Berry, you might like these other slot machines from Saucify: Aladdin's Loot, City of Gold, Code 211, Dream Wheel, Reels of Rock, Road Trip - Max Ways.